Small ruminants such as sheep or goats can often provide business opportunities for livestock producers. There are many reasons to raise these animals. Whether you are looking for a new business opportunity on a small holding, expanding an existing herd or looking at integrating another species into your operations to better manage your resources, our program on November 10 will be of interest to you. These presentations are FREE to attend with your Farmfair admission, but we do ask you to register using the form below. Thank you for your interest! We have reached capacity for these sessions. 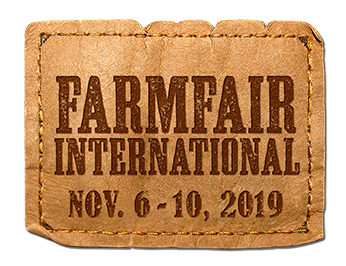 See you at Farmfair International!